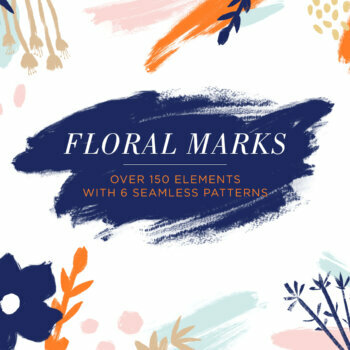 Hand painted brush marks, drawn florals, and abstract elements come together offering an array of combinations in our Floral Marks Kit. With over 150 custom elements to choose from, along with 6 pre-made seamless repeat patterns, you’ll be able to create bespoke invitations, product labels, fabric, wrapping paper, posters, and more with ease. Editable files allow for recoloring so you can design and play to your heart’s content. From fun invitations for your next dinner party to freshening up your social media background, this kit is also ideal for branding projects, packaging, and even your next sewing project. Show us what you can do by tagging your projects with #patternpeopleplay. 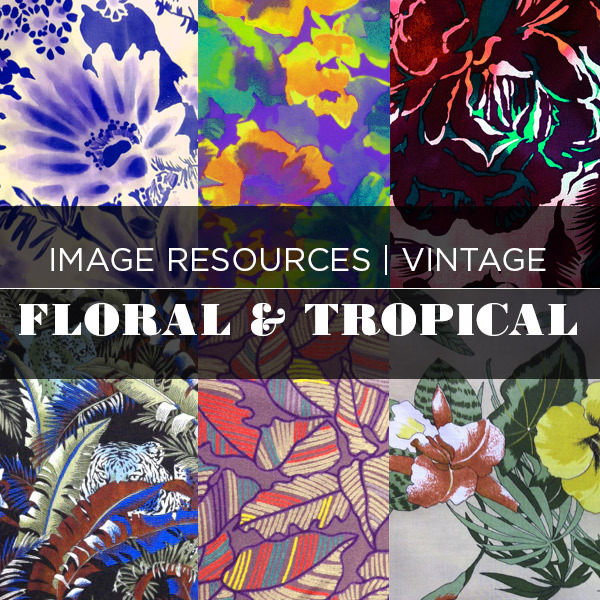 Channel Hawaii, Fiji, Ecuador or Brazil with our newest photo themed resource pack—Tropical. Lush banana leaves, hot house florals, and split leaf monsteras will get you in a jungle vibe. 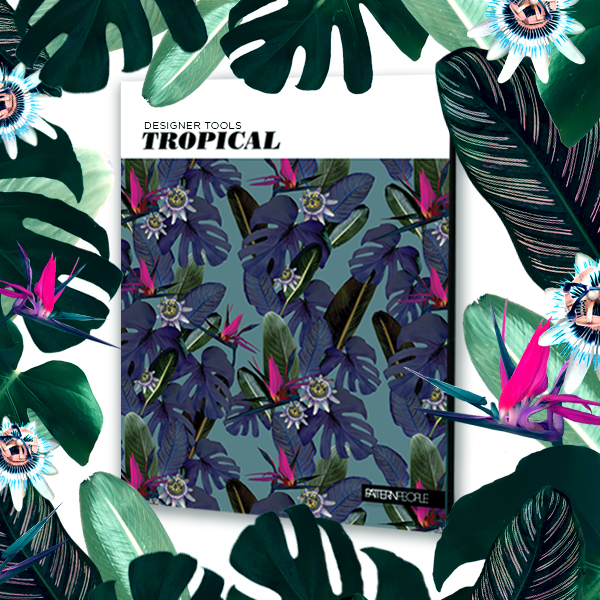 Created with the textile designer in mind, the Tropical Photo Pack features 80 high resolution images each clipped with its background removed so you can focus all your energy on what you do best—designing amazing prints! These images are copyright free and yours to use as you wish once purchased. Create textile designs, artwork, and more, or simply use the photos as inspiration for your many projects. How do you turn your love for patterns into a functional business? 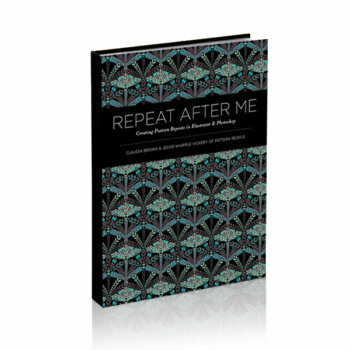 Claudia Brown and Jessie Whipple Vickery of surface design studio, Pattern People, share their insider secrets in the revised e-book, Pattern Design & Beyond: An Insider’s Guide to Creating and Managing Your Own Surface Design Career. With how-to pattern design guides, a thorough break-down of how the print industry operates, and loads of helpful resources, this publication provides a wealth of information for the burgeoning surface designer. The book also showcases over 80 international artists whose work illustrates the many print styles found in the market. 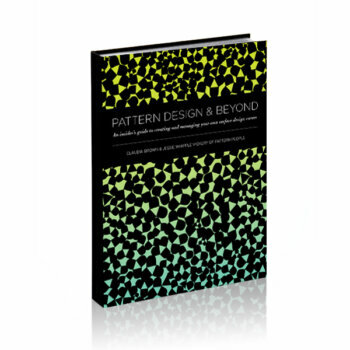 Pattern Design & Beyond is an inspirational guide for students, professionals or anyone else with an appreciation for pattern design. Automated techniques for creating repeats abound. But there comes a time when you need to be able to create your own repeat manually, especially in the case of more complicated files. 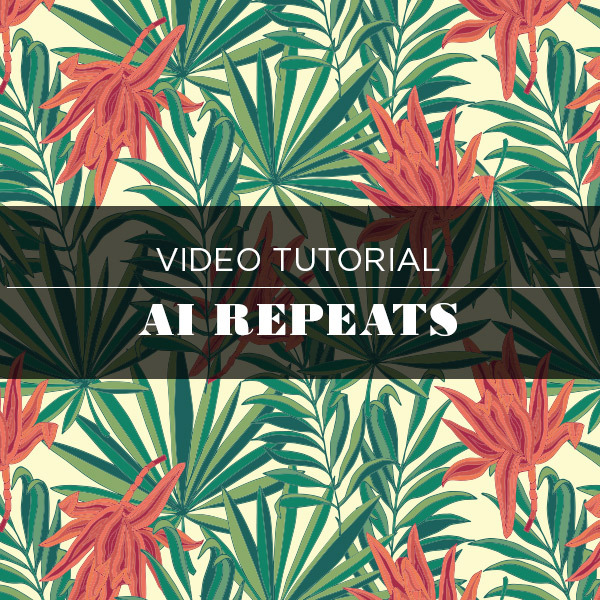 In this collection of tutorials, we take you through the most efficient techniques to create seamless,flowing and sellable repeats, step by step. Once you are proficient in these techniques, you’ll be able to create any repeat you want, both in Photoshop and Illustrator. The newest edition to our e-book collection, Pattern Mix: A Collection of Inspiring Prints by Designers from Around the World, features the best emerging designers in surface design now. Showcasing the work of over 100 artists, this compendium of patterns captures a range of styles including whimsical conversationals, bold geometrics, and sophisticated florals. 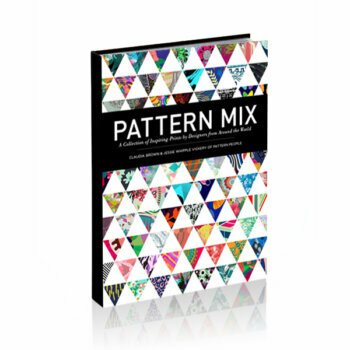 Whether you’re searching for a print designer to help you launch a collection, looking for new techniques, or just in need of some visual candy, Pattern Mix will inspire print lovers of all ages. Need some technical assistance with your prints? Our video tutorials offer tips, techniques, and other industry information you won’t find anywhere else. 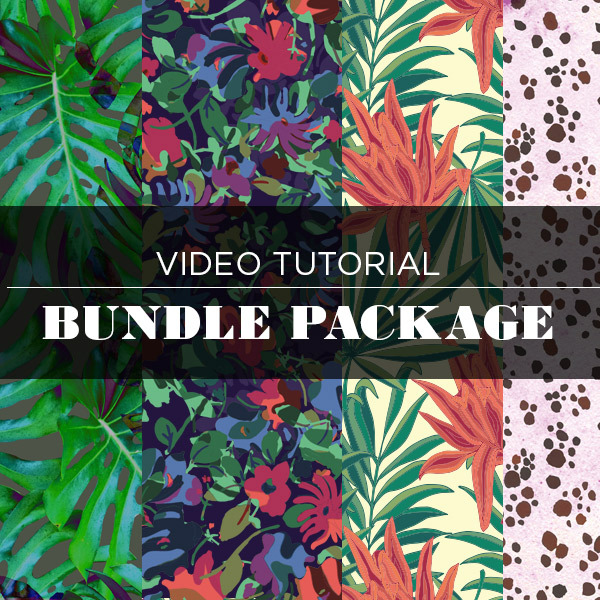 This bundled collection includes all four of our video tutorials plus our indispensable print design ebook, Repeat After Me, at an amazing savings (original price $76.75)! Videos are formatted as high resolution .mp4 files with easy to understand voice-overs which describe the steps as they unfold. Each stage of design is broken down into sections so you can easily find the information you need. 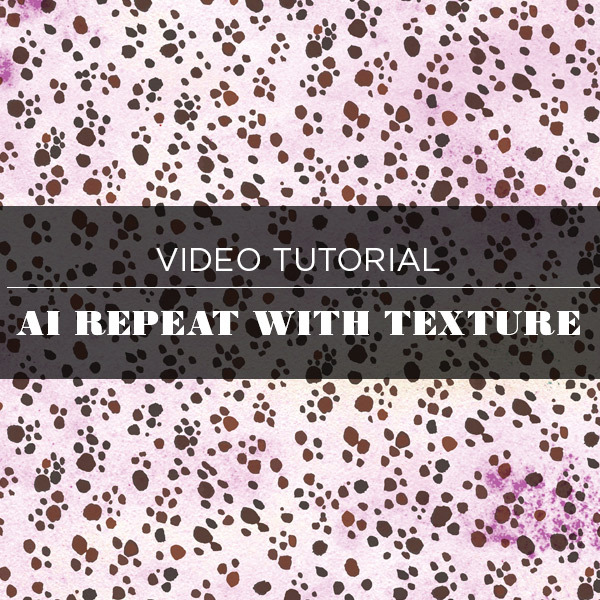 Whether you are a student ready to learn the process of pattern design, or a graphic designer eager to unlock a new skill set, our video tutorial series gives you the building blocks to get started. 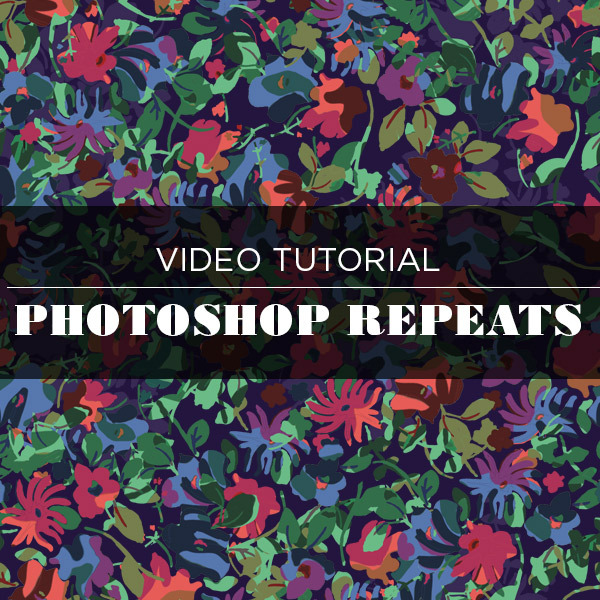 This tutorial, Precise Repeats in Photoshop is a deeper exploration of the technical aspects of creating repeats. Creativity and precision combine to deliver a beautifully flowing, seamless repeat in Photoshop. Pick up tips on how to layout your design to tile, build your file layers for factory delivery, and more! You’ll learn tricks of the trade that you can’t find anywhere else in this easy-to-follow video which uses clear dictation and organized sections for reference. Need some inspiration and technical help? 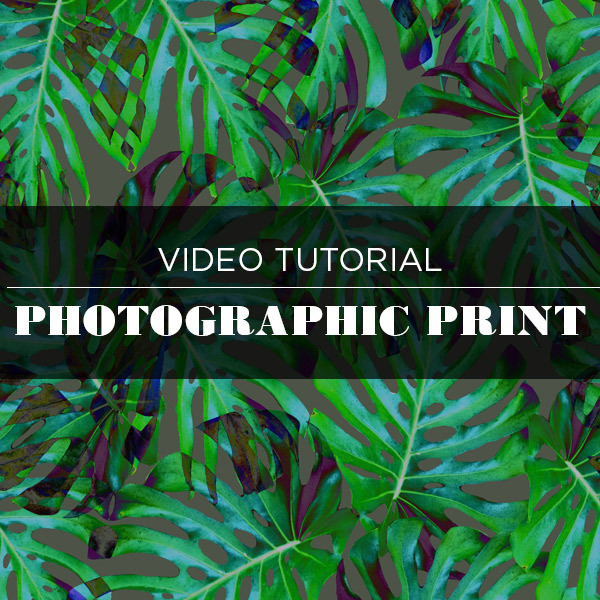 Download this photoshop video tutorial that takes you through every step of creating a photo-based print. We start with trend inspiration and show you how to cut and isolate a leaf out of a photo. Next, you’ll watch our creative process unfold, with tips on layout and more. Finally, you’ll learn a clean and easy way to built a seamless swatch in Photoshop and get tips on formatting your files for clients. All this information is delivered as a high resolution .mp4 file with easy to understand step-by-step voice dictation while you watch the process unfold. Each stage of design is sectioned off, making it easy for you to find the information that you need. Combine Symbols and the Pattern Tool in Illustrator for powerful pattern creation. With easy to follow demonstrations combined with clear voice-overs, we make it simple and fun for you to learn the technical aspects of creating seamless prints. Each stage of design is broken down into sections so you can easily find the information you need. Whether you are a student ready to learn the process of pattern design, or a graphic designer eager to unlock a new skill set, our video tutorial series gives you the building blocks to get started. Whether its a simple element or a complex drawing, this tutorial will give you the tools to turn your design into a full repeat pattern using Illustrator. 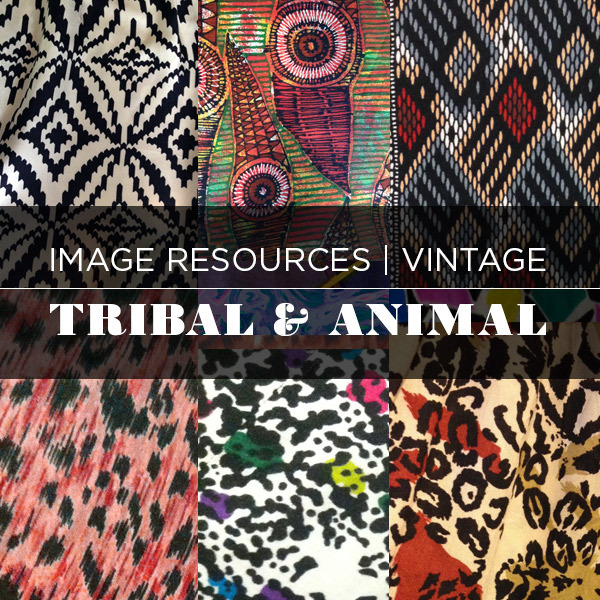 Animal Prints and Tribals are classic print themes that can always elevate your collection. These vintage collections are a perfect starting point to that perfect print that is both familiar to the consumer and yet exciting with your added touches. Vintage textiles continue to be an invaluable design resource for surface designers across the globe. 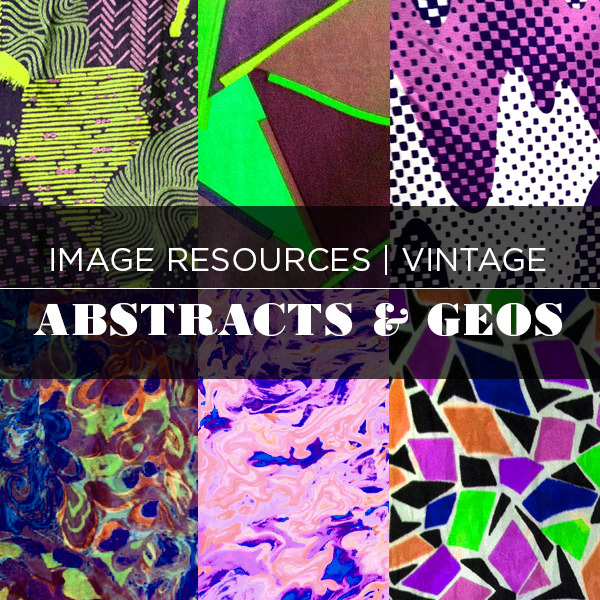 These two collections represent some of the most inspiring abstract and geometric prints we’ve found on our vintage buying trips across the US and beyond. With an infinite number of ways these can be re-imagined and updated for the contemporary market, you’ll find these collections an inspiration for years to come. Tropicals and florals never go out of style. While some of these vintage prints are timeless and classic, others take on bold and unique directions. Whichever way you’re skewing, you’ll find an array of visual styles and techniques to inspire your next collection. From watercolor washes to painterly repeats, our newest Designer Tool Kit offers up an array of watercolor-based assets for all your design needs. Brush marks, dreamy swatches, splatters, and more in a kaleidoscope of colors can be tweaked, layered or simply overlaid for textural effects to create the look of hand painted prints. 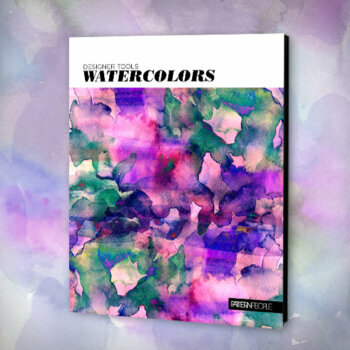 With over 125 elements, this watercolor kit can be used by designers of all levels. So, get started and bring your own designs to life. Always in demand, floral prints have universal appeal appearing on a range of products across a variety of markets. As designers, we’re given the task of keeping this category looking fresh by using new techniques and design tricks. In our Floral Geometric Print Tutorial, we’ll show you how to create the ever popular floral geometric print. Our easy to follow step-by-step guide will show you how to first create a dynamic photographic floral pattern, then a bold geometric print, followed by tips on how to blend the two designs together for the most impact. 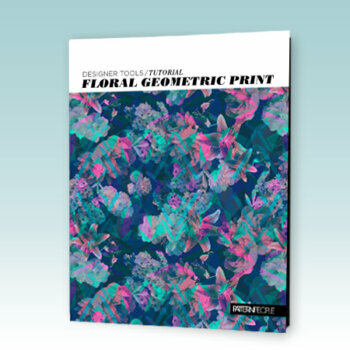 Whether for commercial or personal use, these methods can be applied to create your own visually dynamic collection of floral geometric prints. In our age of digital everything, hand painted elements can add just the right amount of texture and depth to your prints to make them feel unique. Our latest designer tool kit includes over 250 high resolution markings using gouache, watercolor, markers, charcoal, graphite and more. Crafted especially for the print designer, these assets can be used as the starting point for your next print or as the finishing touch to existing ones. 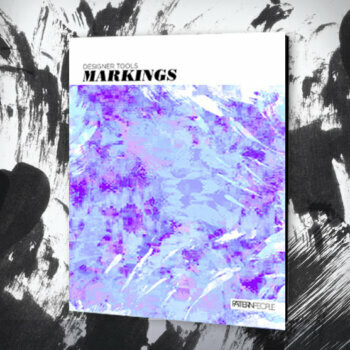 Choose from a selection of elements including paint strokes, dry brushed lines, animal-like blobs, spray paint, or watercolor marks and start designing. 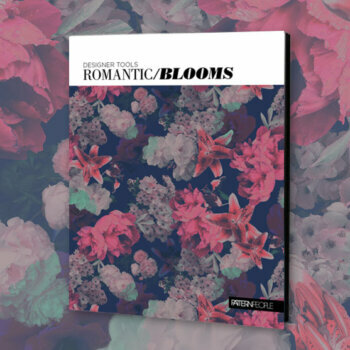 Whether you’re designing a dramatic winter floral or a happy summer print, our new Romantic Blooms photo pack is the perfect resource created with you – the surface designer – in mind. In this set, you’ll find over one hundred high resolution photos that make a great starting point for all your pattern needs. Portland’s nickname is City of Roses, and for a good reason! Summer brings us an amazing amount of roses, peonies, hydrangeas, and other big, romantic blooms. Thanks to our lovely city, we have been able to capture these luscious petals in vivid color, individually or in clusters, in bright sun or sparkling in the rain. A visual reference guide is included to help make the process of choosing an image even easier. These photos are royalty free and yours to do as you wish once purchased. Use the images as is or simply as inspiration for your many projects. Adding to our e-books and trend reports, our newest offering includes photo packs especially tailored for the surface designer. As print designers, we know how difficult it is to find the right source of imagery or inspiration for creating designs. 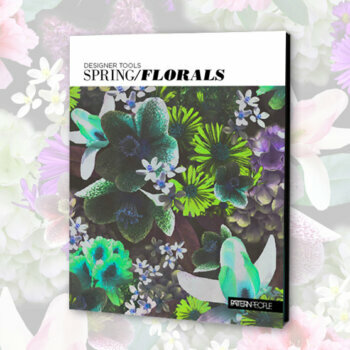 This first pack, Spring Florals, features over 250 high resolution photos of the many flowers that pop up in the lush Northwest Spring landscape, including tulips, crocuses, daffodils, poppies, camellias, lilacs, iris, magnolias, dogwoods, and many more. We’ve captured a range of angles—with full flowers shown—so you can create theme-based prints using the same flower type. These images are copyright free and yours to use as you wish once purchased. Use the photos as is or simply as inspiration for your many projects. Join our newsletter for print collection updates, design resources, workshops, and more! © 2019 Pattern People. All Rights Reserved.